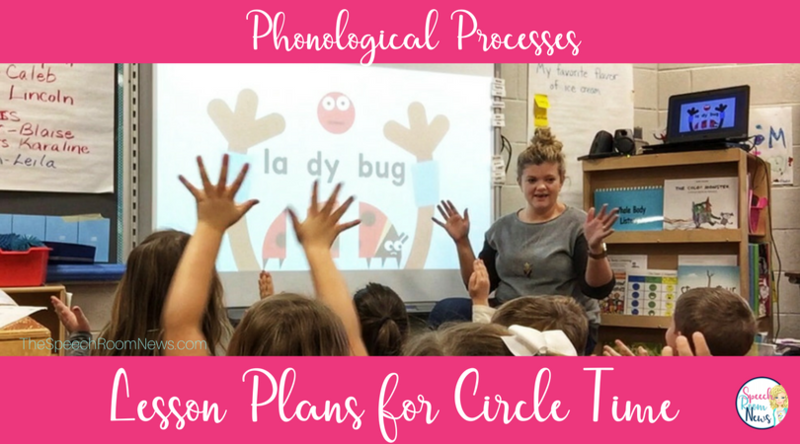 The objective of my circle time lesson is to introduce a phonology pattern/rule to all the students in my class, model the clues/supports and eliciting strategies for staff, and give repeated practice to my IEP students in a large group setting. When designing the material, I want to focus on activities that engage but don’t take over. 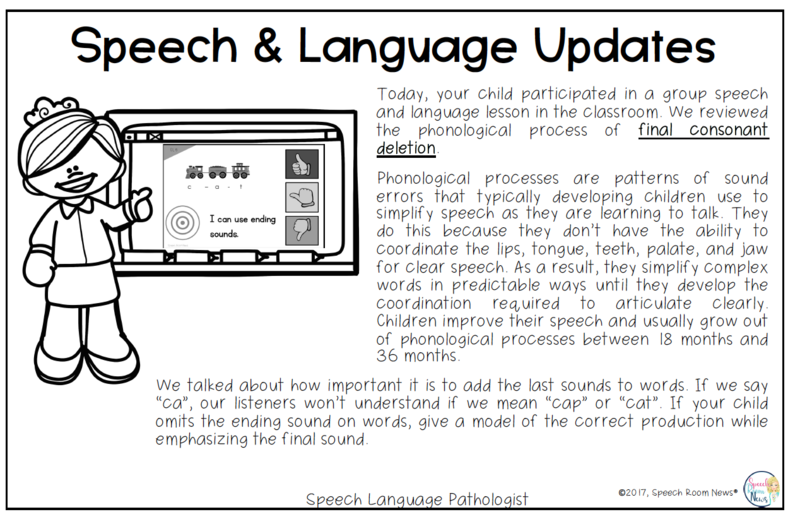 I still want the attention to be on the phonology rule. I do my lesson on a SMARTBoard. This let’s me make it super interactive! 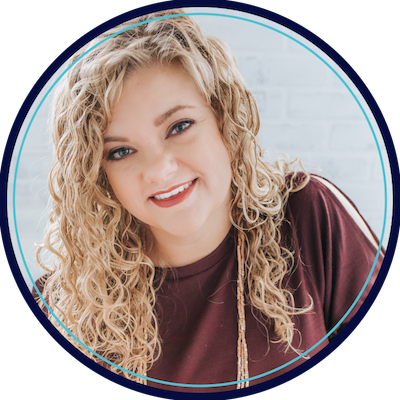 Let me give you an example run-down of how I run a circle! 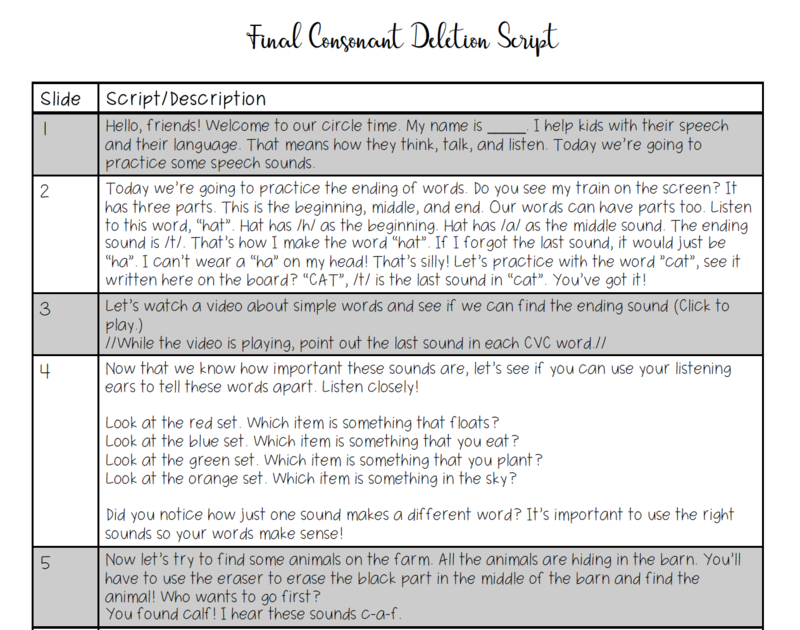 This is a farm-themed Final Consonant Deletion lesson. When you create an activity, it doesn’t need to be rocket science! In this game, the students use the SMARTBoard eraser to erase the black portion of the barn doors and discover an animal (with a simple CVC word structure) and then practice saying that word. We talk about what the word would be if they omitted the final sound and why that’s silly. We get lots of practice. 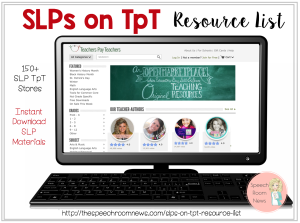 You can create your own resources similar to this lesson plan for the specific needs of your students. 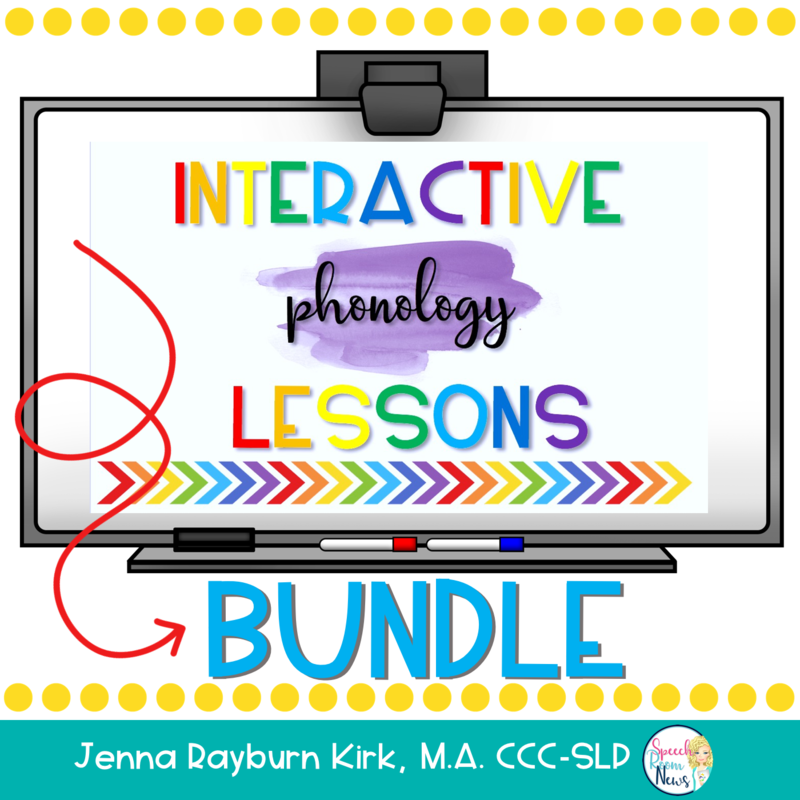 If you’re working with phonology development, I’ve created six different lessons that you can download in my shop. The amount of planning it will save you is huge! You’ll need a SMART Notebook program and a SMARTBoard to utilize these resources. As you can see, my language is simple and direct. After your group time, you can send a note home to all students. I use a half-sheet of paper like the one below. Each set includes both a script and a note home. Just sign your name at the bottom and you’re good to go! Check out the bundle in my store. 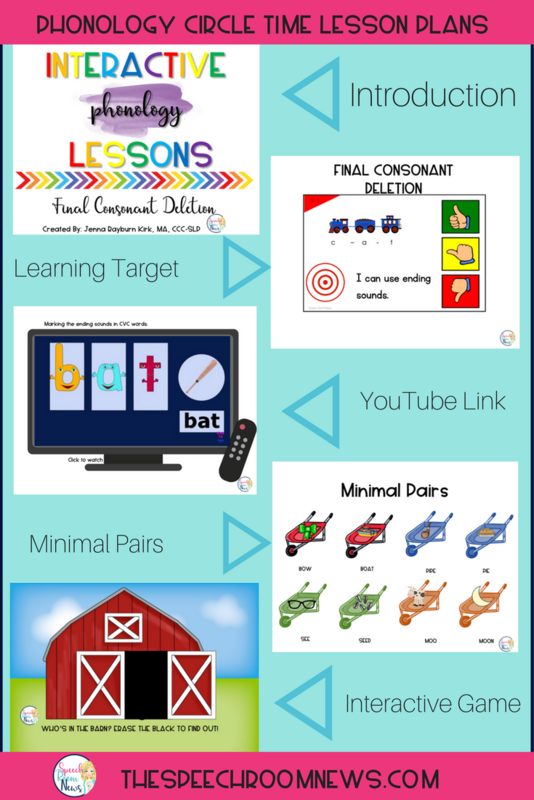 You can click on each link to purchase the lessons individually as well. 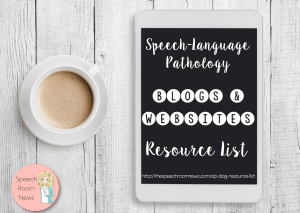 You might also be interested in my blog post about 3 types of circle times for speech therapy. Excellent! Thank you for your EBP work. Great intervention strategies! This looks amazing! What if you school is not equipped with Smart boards? Our school has Apple TV set up! Thank you. This looks amazing! What if your school is not equipped with Smart boards? Our school has Apple TV set up! Thank you.